1. Arrange mixed salad greens on a dinner plate. 2. Chop all vegetables and place them on top of the greens. 3. 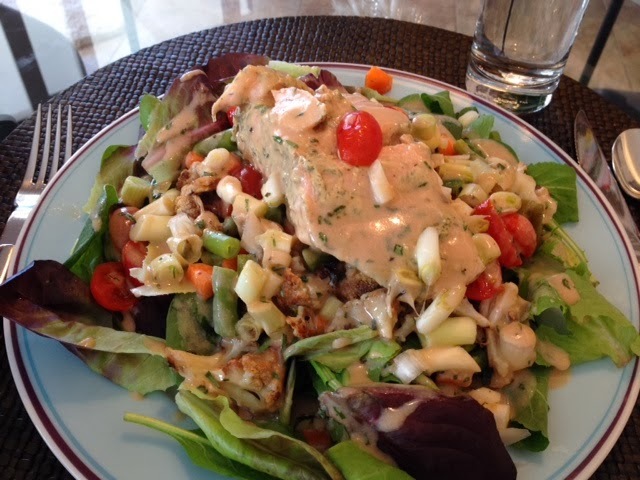 Place the salmon on top of all the vegetables, whole or flaked, according to your preference. 4. Mix the salad dressing ingredients in a jar, shaking until well blended. Pour over the salad. Serve. Yield: 1 salad. Serving: for one person. The ingredients and the directions are the same as above: chop ½ the leftover vegetables and place them on a bed of mixed greens. Add 4 -6 ounces of the leftover meat, Turkey piccata, sliced. Prepare a serving of the salad dressing and pour it over the salad. Serve. 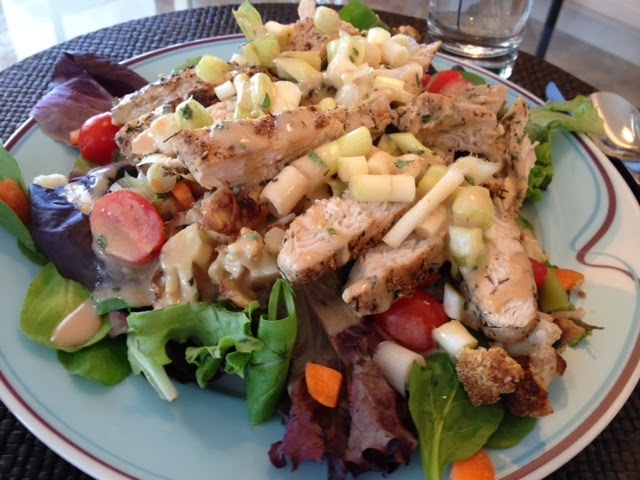 The salads are tasty, visually appealing and have the added benefit of clearing out your refrigerator. There is nothing more statisfying than that!